India And Vietnam - Why Is India Ready To Sell Military Hardware To Vietnam? The recent visit by the Vietnamese parliamentary delegation of Vietnam to India led by Chairwoman of National Assembly of Vietnam and member of Standing Committee of Politburo, Communist Party of Vietnam, Nguyen Thi Kim Ngan concluded with signing of four agreements between the two nations. 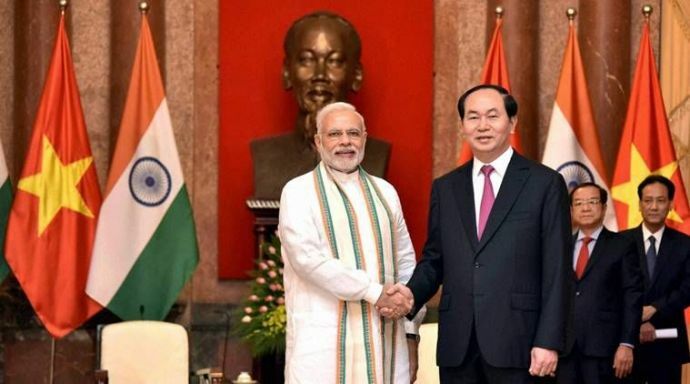 One of the agreement was the Civil Nuclear Cooperation Agreement and with this Vietnam became the 14th country to sign a similar agreement with India. Citing the signing of such an important agreement might attract one’s attention towards nature of engagement between New Delhi and Hanoi. The relationship between the two nations has always been of shared mutual interests. India stood beside Vietnam in the past during Vietnam War, where it was one of the few non communist nations that condemned the US actions in Vietnam and assisted Vietnam during the Cambodian-Vietnamese war. With time the relations between the two nations have become closer both politically and economically. While India gave Vietnam the status of Most Favoured Nation in 1975, the bilateral trade agreement was signed in 1978. Both nations established exclusive economic ties including oil exploration, agriculture and manufacturing in 1992. Due to India’s “Look East” policy in past decade the relationship between the two nations have benefited extensively. The bilateral trade between the two nations has increased significantly. While it stood at $1 billion in 2006, it ballooned to $7 billion in 2015. Both the nations have agreed to increase it to the bilateral trade target $20 billion by 2020. The “Look East” policy of India has also helped to forge close defence relations. 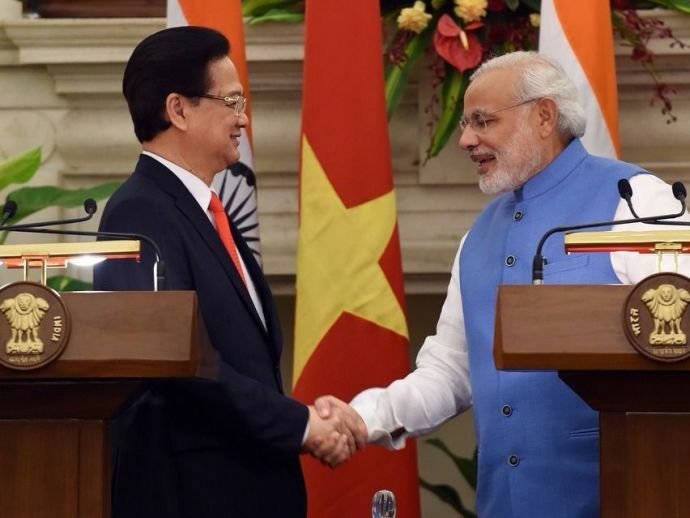 The 2007 agreement of “Strategic Partnership” has been elevated to “Comprehensive Strategic Partnership” during the September 2016 visit of Prime Minister Narendra Modi to Vietnam. India had previously given a $100 million concessional line of credit to Vietnam for procurement of defence equipments from defence manufacturers in India. Vietnam bought 4 offshore patrol vessels which will help Vietnam in strengthening its national defence in the Energy-rich South-china sea. India has agreed to engage in joint venture with Vietnam for oil exploration and an agreement has been signed in 2011. In Spite of protest from China, India has agreed to move ahead with the plans and India’s state-owned oil company ONGC Videsh Ltd is looking forward for exploration in two oil and natural blocks. Vietnam claims to have legal right over these blocks under The United Nations Convention on the Law of the Sea (UNCLOS). Chairwoman of National Assembly of Vietnam during her recent visit also urged New Delhi to intensify its economic engagement with Vietnam and the region. India as emerged as a desirable counterweight to China in Asia and for the contended South China Sea issue, which by some estimates might just be the largest storehouse of yet to be exploited oil and natural gas. 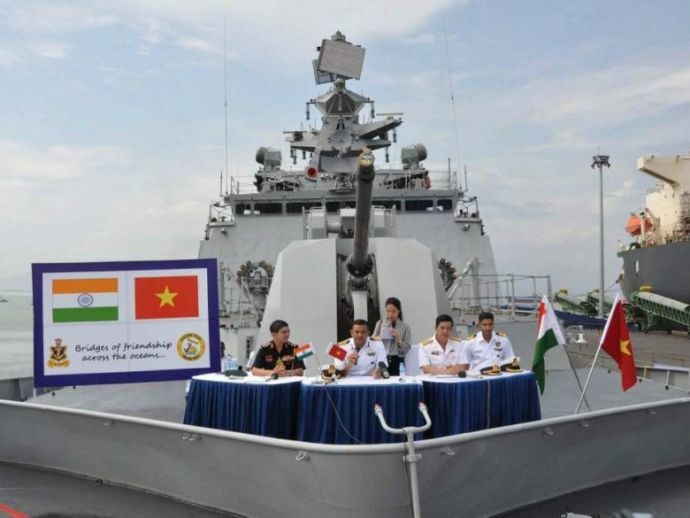 A new line of credit of $500 million has been given to Vietnam by India for procurement of more patrol vessels. India has also agreed to sell the BrahMos missile system to Vietnam, which seems to have caught the attention of Beijing. China has also expressed its concerns about the growing defence ties between New Delhi and Hanoi and has repeatedly warned India not to meddle in the South China Sea region. India has traditionally maintained its stand that the stakeholders in the South China Sea issue should maintain restrain and has always batted for freedom of navigation on principles of The United Nations Convention on the Law of the Sea (UNCLOS). 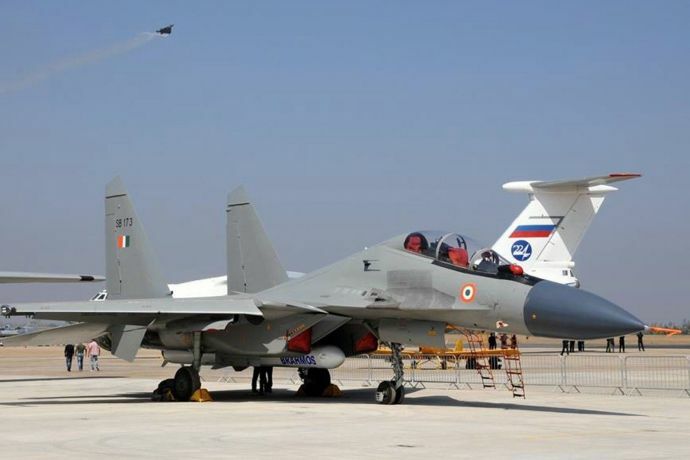 India is also going to train Vietnamese pilots in its Su 30MKIs and give required english training to Vietnamese military personnel. Though we can’t ignore the increasing military ties between China and Pakistan despite of India’s concerns, China keeps supporting Pakistan at various levels - be it putting hold to India’s motion in UN to put ban on certain terrorists in Pakistan or supplying Pakistan with latest military hardware like fighter jets, attack helicopters, naval vessels or submarines, etc. or construction in the Pakistan occupied Kashmir or India’s entry to NSG. China continues to actively play the roadblock to Indian interests. With the increasing clout of China in Asia and Southeast Asian region and its claim over the disputed islands in South China Sea, countries like India and Vietnam will see convergence in mutual interests. Nearly $5 trillion worth of global trade goes through the South China Sea including about half of India's foreign trade. To protect its interests and to uphold the UN laws, India as a sovereign nation is bound to take necessary actions.